It has been a great week over here and I am excited for a 3 day weekend! 1. 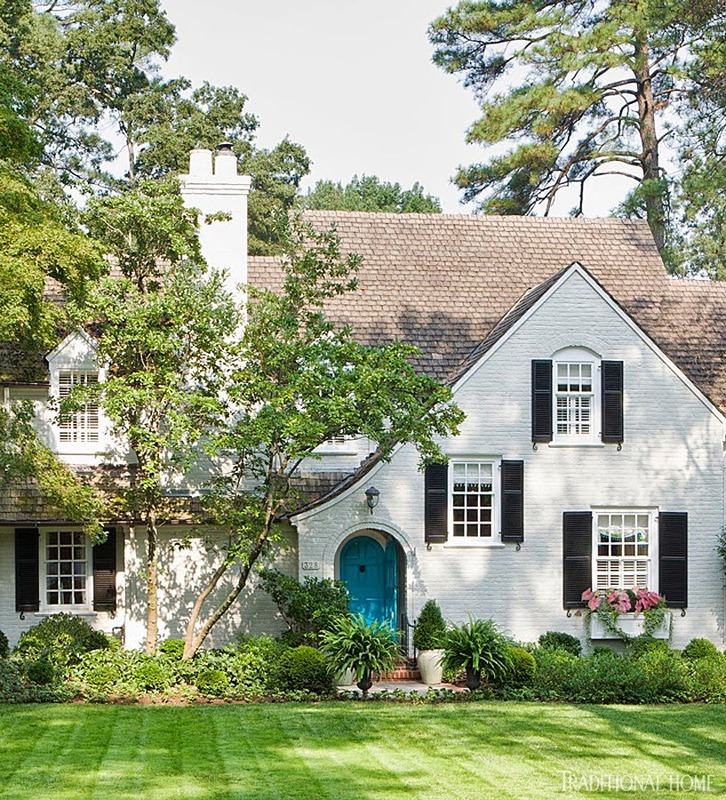 First up, I am loving that this gorgeous RICHMOND home featured in my all time favorite magazine, Traditional Home, this month! I can't wait to see the full spread in the magazine! Take a peek online here! 2. Next up, I have a funny for you: I am loving that I have dental insurance! Monday night Bryce grilled bacon-wrapped duck...from his hunting trip last week. He always warns me to be careful when biting down, because you never know when a stray piece of shot could be in your bite. Wellll...as you can imagine I bit down a little too hard into some shot and chipped a tooth! Fortunately my dentist was able to fit me in the next afternoon and the filling required was fully covered by insurance! All I could think when telling the dentist how I chipped my tooth was "You might be a redneck if..."
my grins would have to be closed-mouthed like these forever! 3. I have also been loving The Wonder Years lately! A week or so ago, Bryce and I were looking for something light and upbeat to watch on Netflix and stumbled upon The Wonder Years. Bryce loved the show as a kid and I had never watched it, so we started with Season 1 and have been binge watching it ever since! It has been such a happy part of our evenings of late! The last show we binge watched was Dexter, so this has been quite the change! 4. 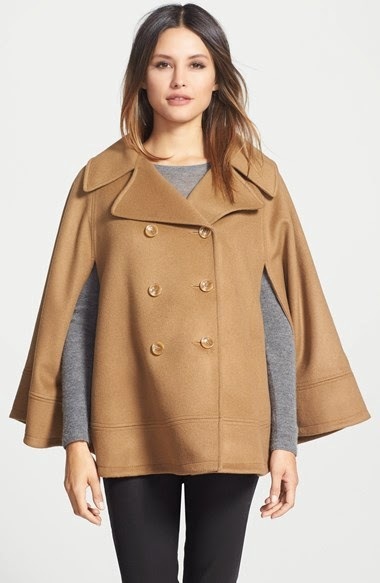 Next up I am loving, obsessing, lusting, and drooling over this cape! I have been really into capes for a while now and ever since seeing this pin I can't get them out of my head! I know I am trying to save in the new year, BUT, this would totally be an investment piece right? Not to mention, it's 50% off and timeless! I could wear this when I'm 50! What do y'all think!? What shows do you binge watch? We also just started Peaky Blinders due to the suggestion of some girls at book club this week and are enjoying it! Oh no! I'm sorry to hear about your chipped tooth. Glad you were able to get it fixed so soon. I love the front of that house so beautiful!! I never thought about being older then the internet, but oh so true. Hysterical. And the fact that you chipped your tooth on a piece of shot is probably one of the best things I have heard all week!!!!! Your poor tooth!! That is hilarious - Bryce is obviously no Katniss or Gale. That house is a stunner - I love old houses. 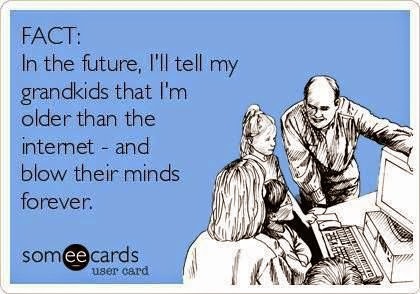 The ecard so funny - we have to tell our kids that we need a network connection to use one of the tablets and they have no clue what that means and explaining isn't so easy for this non-it person!! Yikes about your tooth. Did it hurt? That house really is special and how exciting to have it written up in Traditional Home! That cape is stunning. Maybe split the cost with Bryce for Valentine's Day? Or cut back on eating out and instead put that money toward the cape? Oh my gosh i did not know the Wonder Years was on Netflix! I know what me and the bf will be doing all weekend now :) Also, poor thing about your tooth! If it makes you feel better, I had to have a rainbow of teeth filled in after getting hit in the mouth at field hockey practice lol and you cannot tell at all! don't fret! Haha great ecard. I totally chipped my tooth (twice!) the other month and both fixes were totally covered. Dental insurance is a lifesaver! Love, love that cape. Happy weekend! 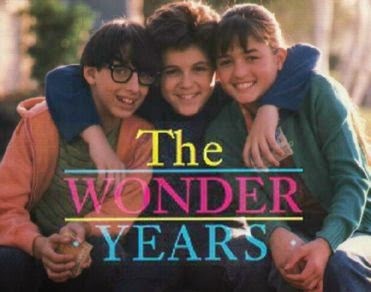 oh my gosh the wonder years was an absolutely favorite of mine and I would cry and cry and cry at so many episodes!!! I'm always so jealous of people discovering a show for the first time :) prepare for some tears in the future - such a heartwarming show with amazing music!! Oh my! So sorry to hear about your tooth but I'm glad you got it fixed! 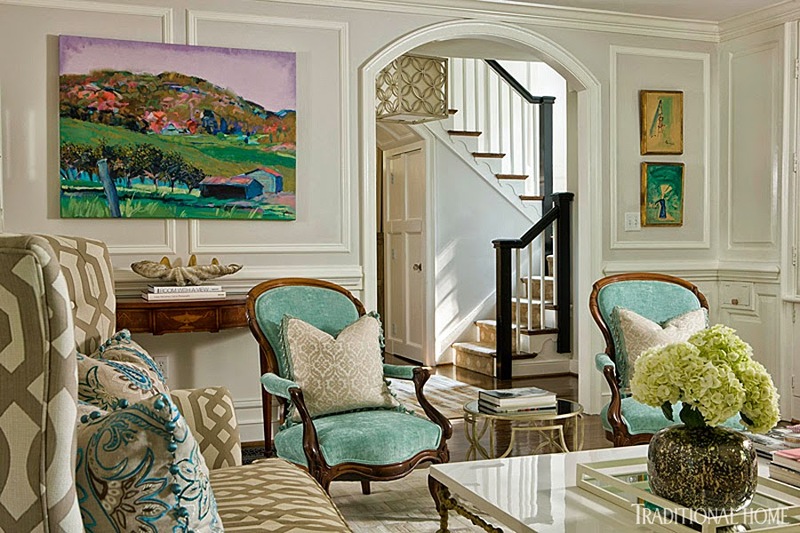 That home is absolutely stunning and I love a good eCard! Oh my gosh your poor tooth, so glad you were able to get it fixed right away, but it def sounds like a redneck story ahhaah too funny!! 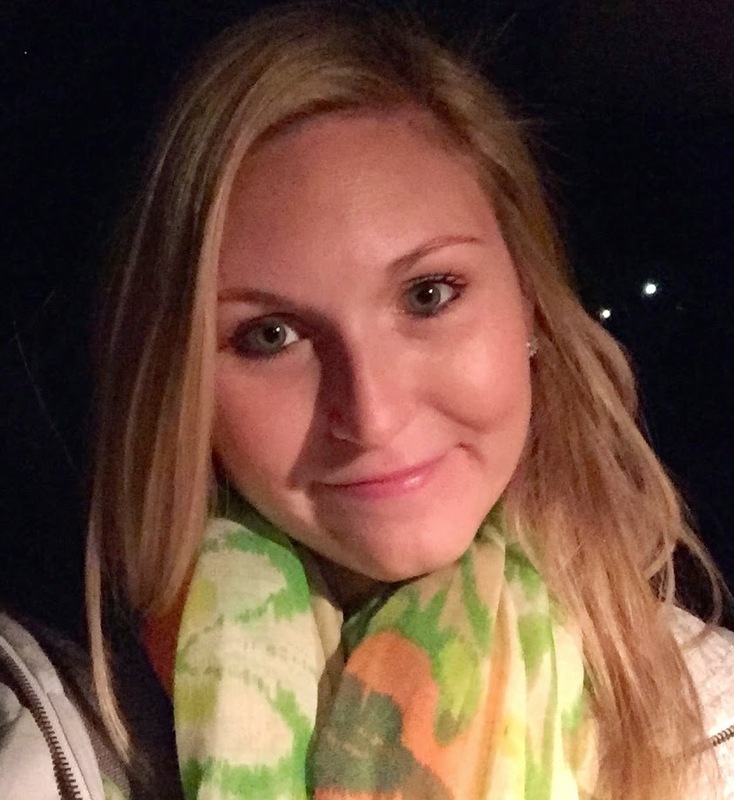 For some reason your updated blog doesn't always show up in my feed so I missed this post! I'm so sorry about yoru tooth! YIKES! And i LOVE that cape!! !